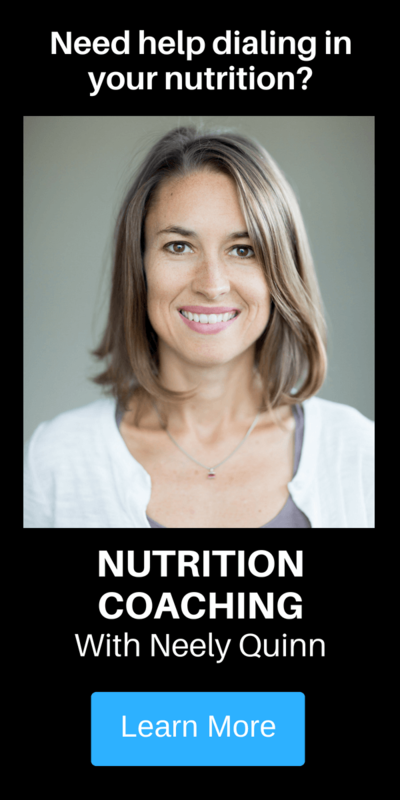 Esther Smith is a Doctor of Physical Therapy, a Nutritional Therapy Practitioner, a Pilates instructor, and the owner of Grassroots Physical Therapy in Salt Lake City. 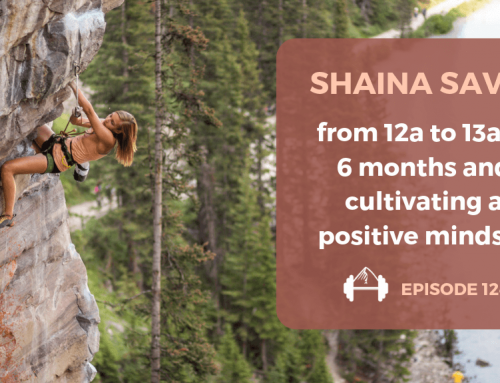 She is a 5.13- climber who’s reaped the benefits of her own physical therapy practices, having healed a shoulder injury, a finger injury, a recent foot injury, among others with exercises, stretches, pilates, and alternative therapies. This interview is all about ankle and foot injuries. 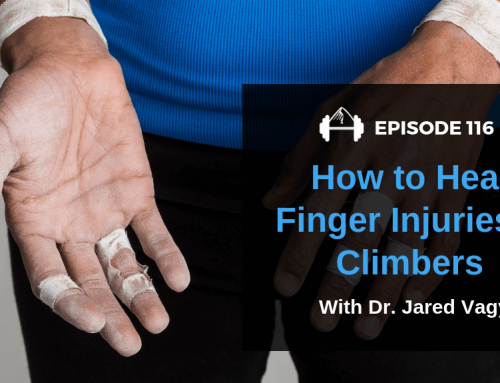 We talk about the most common ankle and foot injuries among climbers, why we get them, how to get a proper diagnosis, when to know if you should start climbing again and mostly… how to make the injuries go away. During the interview, you’ll hear Esther talking about the videos she created to help you understand what she’s trying to explain. You’ll find all those links below. 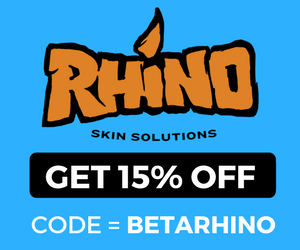 If you have shoulder, neck, elbow, or other injuries, she also has video tutorials for sale on her website, www.selftreatment.com, which very well may make your pain go away without the help of any practitioner. In fact, I’ve had at least 10 people approach me at crags or at the gym and tell me that these interviews with Esther “fixed” their (insert body part here), so we’re extremely happy that these interviews and Esther’s videos are helping people around the world! This is a trailer of a video tutorial that Esther Smith and Eva Kauffman created to help you heal your ankle and foot pain. It costs $14.99, but that is a very small price to pay to potentially be rid of your pain. 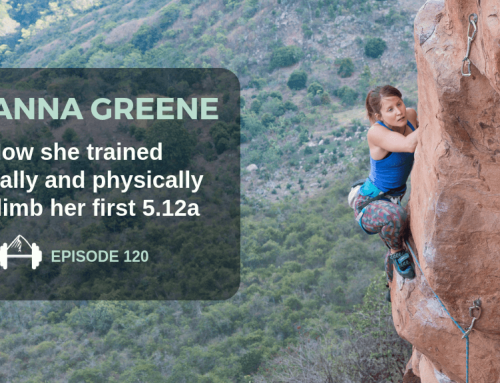 Neely Quinn: Welcome to the TrainingBeta podcast where I talk with climbers and trainers about how we can get a little better at our favorite sport. I’m your host, Neely Quinn, and I’ve been away from the podcast for a few weeks now because I’ve been on vacation. We went to New Mexico for Memorial Day weekend and it was super fun. We went to Santa Fe and Taos and climbed and did all the touristy things and it was super fun. Also, I’ve been hard at work with Matt Pincus who is our blogger and our personal trainer for TrainingBeta and our social media guy. He’s staying at my house right now because we’re working on creating new training programs for TrainingBeta. There’s going to be a bunch of new stuff coming out in the next – I’m not really sure when – maybe three to six months because we’re kind of building out a whole back end for it and building all new training programs. Those will be available and they’ll be inline with current thinking and theories on training and they’ll also be more individualized so you can make them more suitable for you. Those are coming out, but in the meantime we always have training programs on the site. 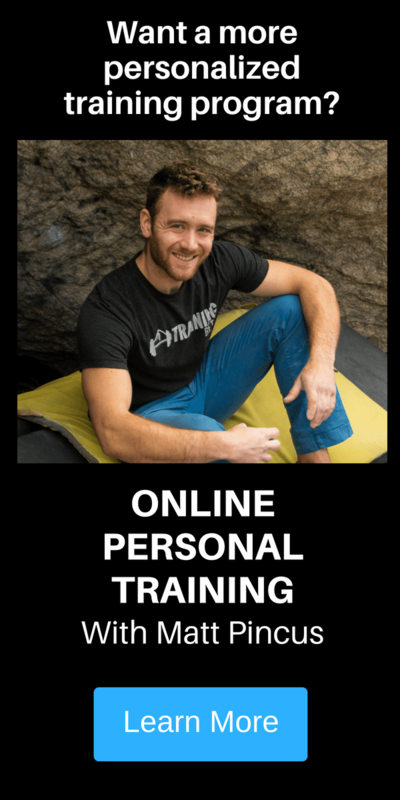 You can go to www.trainingbeta.com and at the top there’s a tab called ‘Training Programs.’ We have a bunch of programs in there that have helped thousands of people get stronger and have a structured program to follow. You can check those out if you want some more structure and just instructions on what to do when you go to the gym. So now for the podcast. We’re talking with Esther Smith today. She’s been on the podcast several times before. We’ve talked about a lot of different body parts and injuries and how to heal them and how to prehab them, and today we’re talking about foot and ankle injuries among climbers. She sees a lot of those. Obviously, boulderers are going to be doing a lot of ankle spraining. She also has her own really serious foot injury that she just healed up and she’ll tell you all about that. We’re going to talk about common injuries to the foot and ankle and how to deal with them. I’m just going to let Esther take it from here. Actually, I forgot. She has a whole website on this so if you go to www.selftreatment.com there’s a little dropdown for videos and in there you’ll find – there must be 30 videos in there now for every body part. The foot and ankle ones are in there as well so you can check those out if you want more information from her after listening. Here’s Esther. Neely Quinn: Welcome back to the show, Esther. Thanks very much for talking to me today. Esther Smith: Thanks, Neely. Happy to be back. Neely Quinn: Yeah. It’s been a couple months and last time we talked about hip and knee stuff. 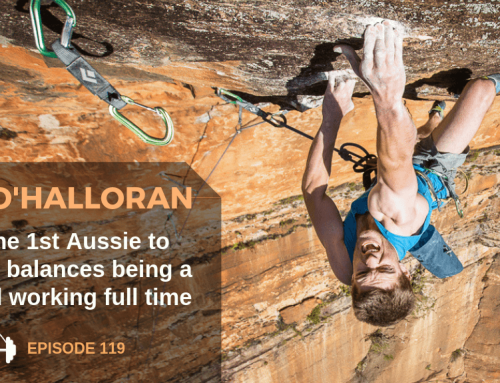 We are just traveling downward on the body and we’re going to talk about foot and ankle injuries among climbers. Neely Quinn: Cool. Do you see a lot of foot and ankle injuries? Esther Smith: Yes, actually quite a few. Not the most popular but they come in all of the time. We see a variety of different ones caused by different reasons. I know that you just asked about the bouldering related trauma ones versus ones that might occur on sport climbing or less-traumatic like not necessarily a fall or a direct sprain, so we can talk about those different types of injuries that we see here. Neely Quinn: Yeah. Let’s just start there. We’ll talk about the most common things that you see and the ways that you have people rehab those and then maybe things that we can do to avoid them because definitely nobody is in the gym doing prehab exercises on their feet and ankles, right? Esther Smith: That’s right and it’s kind of unfortunate because I think there’s a lot of value in spending time in the foot/ankle region as an injury prevention tool, not only for that local area avoiding sprains and strains but also improving our overall climbing performance by working our foot/ankle because it’s really just as important, in terms of our connection to the wall, as our hands are if you think about our four points of contact. That became quite true in my experience after recovering from my foot injury and having had my foot in a boot for four months and not really even weight-bearing. I had this incredibly weak, deconditioned foot/ankle and I put it in a shoe for the first time after about six months and I climbed. I experienced what it is really like to feel how important the foot is in climbing. It’s not as obvious if you don’t have that extreme kind of perspective but it became quite relevant and I think something worth sharing for all of our climbers out there. Neely Quinn: Yeah, for sure. Actually, if we could back up just a sec, can you explain your foot injury? I know we’ve talked about it on the podcast before but for anybody who doesn’t know? 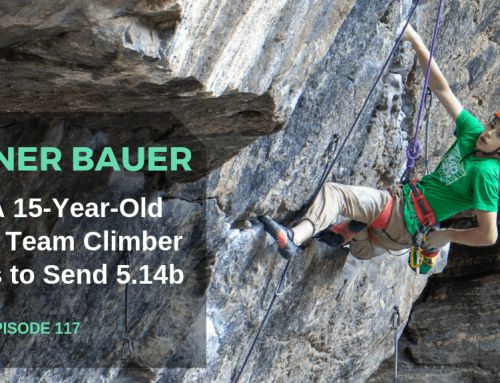 Esther Smith: I was belaying in the gym barefoot and just stepped a little way away from the wall, looking at my climber who was on a steeper route, so it was kind of a step back and he was approaching the top. He weighed a lot more than me, took a big fall, and I got zippered in. I just kind of rocketed into the wall and I stuck my bare foot out and it slammed around a big jug, a big lobby jug at the bottom of the wall, and it impacted the sole of my foot and basically broke or dislocated the small bones of my arch and fractured one of them. It’s called a Lisfranc fracture and it absolutely has to have surgical repair so they had to put in these giant screws and bring the arch back together. Then I kept the screws in for basically four months and was in a boot and then they took the screws out. Now, it’s been a year since my injury and I’m back to full function. I can climb and hike and ski and do everything I want to do but I started with nothing. A very traumatized foot arch that wasn’t even the ankle, which was unusual to have such a traumatic injury to the actual foot itself and the structure of the arch and then bring that back into a climbing shoe and then weight-bear on tiny holds through my first and second toe, which is really what we end up doing as climbers for the most part. That’s right where my injury occurred so it was really kind of a trippy injury to have as a climber because it was so directly impactful to what I do. Neely Quinn: Yeah. It’s kind of a crazy – I think about that a lot now when I’m belaying and I’m sure you wear shoes now when you belay. Esther Smith: I do, yeah. I’m uber focused on wearing shoes myself and I think everybody should, certainly outside. I used to wear flip flops and just be a little bit lackadaisical, even though I belay people all the time that are heavier than me, and I just kind of get zippered up and I’m used to it. This was the first time that it just was the wrong scenario: a perfect storm and then to have that big jug sitting there and for me to get rocketed right towards that with a bare foot. For sure footwear and thinking about taking care of yourself even when you’re standing on the ground as the belayer. A lot of people have been approaching me and telling me how they’ve been injured, too, by that kind of belay situation so watch out for that. Esther Smith: Yeah, just hands and fingers getting grated up the wall and getting slammed in that way or foot injuries getting slammed in that way as a belayer. I think it happens more than we know. I didn’t really recognize it as a risk because it was just so familiar to me to belay my husband and this one time I just got zippered in the wrong way. The learning experience and certainly a big personal connection to the foot/ankle is why I have some passion for sure. Neely Quinn: Do you still have pain or did you totally rehab it? Esther Smith: I think I’ve had about as good of a rehab as you can but I still wake up with an achy, stiff foot pretty much every morning and then it doesn’t really bother me during the day. I don’t really have pain under activity. The deal is they told me I could expect to have arthritis and I could expect to have an achy foot for the rest of my life and I’m happy to say that that’s not true except for when I first get up and it needs to get kind of loosened up. I do a lot to take care of it. I could always do more but I do a lot of particular local foot strengthening exercises and mobility exercises and a lot of body work massage in the area and dry needling and all this good stuff to loosen it up and strengthen it. It’s the same stuff I’m doing to rehab my foot that most of us should be doing anyway because our foot should be cared for as much as we kind of care for our hand as climbers. It’s all the same/almost the same anatomy and equipment and potentially it can do a lot for us if we have full mobility and strength and awareness and proprioception there, so I kind of want to talk about that. A lot of the stuff that I’m doing to not have pain and to have a good, positive recovery is stuff that we could all be doing to just maintenance a good, healthy foot. Neely Quinn: Okay. Do you want to talk about that now or should we talk about the most common injuries? Esther Smith: Maybe we can go into injuries? I think that’s a good way to start. We’ll kind of see what comes out of that. Neely Quinn: Okay. Let’s start maybe with ankles and then we’ll go down to the foot. What kind of things do you see? Esther Smith: At the ankle, of course classic ankle sprains are probably the most common. We get those from trauma from coming off the wall bouldering, having an ankle roll or twist, or as the mountain athletes that most of us are we’re out on trails and hiking and doing other sports so we can obviously get ankle sprains that way. We can talk about rehabbing ankle sprains but there’s also some tendons that run along the outside of the ankle in particular. They’re your peroneal muscle tendon group and they run along the outside of the lower leg, below the knee, and they do this little notch and they groove under the outside ankle bone and some of them pass under your foot. One common injury that I see is there’s some dislocation of the tendons behind the groove of the outer ankle bone or tendonitis developed there. Some people can traumatically pop or strain or even rupture part of that network of tendons and that happens by aggressively rocking onto the foot in bouldering or stepping and rocking up over a roof in climbing. Around the ankle you can get Achilles tendonitis and different kinds of soft tissue tendonitis-type issues, and then also the calf strains/calf pulls. Those are probably most of the ankle issues and then there’s ankle stiffness. People who have had chronic ankle sprains come in and they are limited by their ankle stiffness or ankle pain. A lot of the treatment for all of that ankle-related, either sprains or soft tissue, a lot of it is similar for taking care of whether it’s an acute sprain or a chronic issue or a tendonitis issue. We kind of end up giving a lot of the same rehab exercises that carry forward after the acute phase. 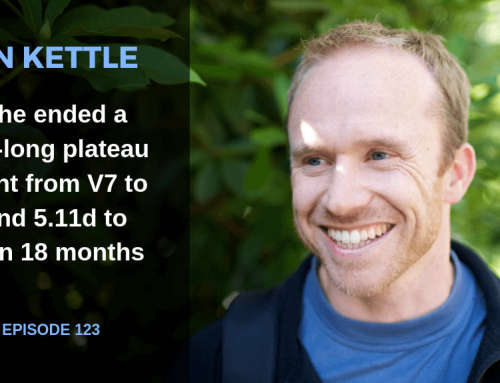 Esther Smith: I think there was some discussion at some point on TrainingBeta talking about the acute management of an ankle sprain. I guess I could give my two cents on that. Neely Quinn: Let’s start with the acute phase. When you first sprain an ankle or have an injury, what do you do? Esther Smith: We recommend still to kind of abide by that classic prescription for RICE, which is rest, ice, compression, elevation. Getting off the injury and not damaging it anymore. The issue down at the foot/ankle is it’s hard to get off of it so you want to make sure that if you’ve had an acute sprain and impact or fall or any significant trauma, that if you’re unable to weight-bear, if you’re unable to tolerate that because of pain, that would be an indication to go and make sure you at least get an x-ray because that’s a sign that there might be a possible fracture. Just make sure that in that initial few days that you take really good care of the injury and you make sure that you’re getting it diagnosed appropriately because ankle sprains and the associated fracture are quite painful. You don’t want to just say, “Oh, I can just wait for this pain to go away.” If you’re unable to weight-bear on it it would be a good idea to get that screened immediately in the first few days. Neely Quinn: When you say, “unable to weight-bear,” do you mean you physically cannot stand without it collapsing or something? Esther Smith: Yeah, it might collapse but it’s probably the thing that is happening is it’s just too painful. Too painful to stand 50/50 or certainly too painful to walk because that’s exchanging your body weight onto that foot. That’s just – if you’re able to kind of limp and gimp and get around and sort of ‘walk it off,’ you’re probably in the clear but if your weight-bearing is super impacted, intolerable, too painful, or you have significant weakness or collapse, for sure get it looked at. Esther Smith: I had a fracture in my bone and I went immediately to the ER because I figured under the impact that I had that I had broken it and it didn’t even show up, the fracture. They sent me home with ice and ibuprofen from the ER and I had to continue to make sure I got the care that I needed and ended up having and MRI and ended up getting inside the window to get surgery. I almost didn’t get inside that two week or three week window because of improper diagnosis of my fracture. Esther Smith: Fractures can be sneaky. They don’t always show up but I could not weight-bear so it’s a pretty good example of: no way. My foot was just crippled. It’s a little harder to identify sometimes with a classic roll/sprain so just let pain be your guide. 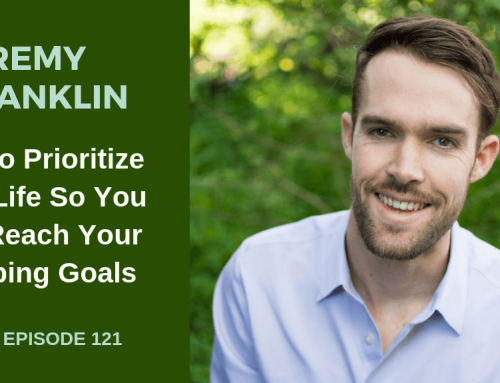 If you’re not improving within a few days and you’re not able to stand or walk, then just keep questing on appropriate diagnosis until you get it figured out. That’s important and then the rest part, right? Icing we still advocate for in the first 10-14 days of an acute injury, especially in a dependent limb meaning the one that’s dependent into gravity because the swelling really pools there and it’s hard for our body to get return and blood exchange because often it’s below the level of our heart. Also, the swelling kind of gets out of control so it’s not like we’re – swelling is a good thing and the inflammatory process is a good thing because it’s going in to heal tissue, but the body overdoes it a little bit and so icing for the first 10-14 days is totally indicated and can be really valuable, not only for the antiinflammatory effect but also it helps with pain. Ice is a natural analgesic so just that numbing effect can really help with the painful ankle. Again, if it’s a sprain or that soft tissue kind of peroneal damage, even a calf strain or pull, the early onset of tendonitis, those things can benefit from ice. Taping or using an Ace bandage for compression, really what that’s doing is helping with blood return so again, lower extremity injuries is going to be harder to get the old blood out of there so compression can just sort of help the system return blood to the heart and then new blood allows for new healing to occur. Elevation, as well, to get it above the level of the heart for as much as you can during your day so you get the chronic swelling and inflammatory process that does not serve healing to be finished up within 10-14 days. You can see ankles that stay swollen forever so initially, in that first week or two, if you’re really good about resting it, icing it, using compression or taping to support, and then elevation, you’re going to be better off. Sometimes heat to soft tissue like muscle-related injury is totally indicated so I think a contrast bath can be really helpful to flush blood. In general, let your comfort and your body indicate what you need that way. If ice is terribly uncomfortable and doesn’t feel right but heat does, you can look at that. Just make sure it doesn’t swell anymore. Then, a lot of times if you can get in to see somebody, a PT or somebody who can help diagnose what got off track in the sprain event, sometimes the little joints of your foot/ankle can be mobilized immediately and kind of put back on track and kind of taped that way. That can be super helpful in the initial acute phase of injury to get that joint mobilization and get things reset and kind of stabilize and kind of work on the healing in that better positioning. Neely Quinn: I’m going to go back in time for a moment because Natasha Barnes wrote this article about ankle stuff and she basically said don’t ice, icing is stupid. It caused a little bit of a stir and people have a lot of opinions about that and you do, too, so I’m just wondering what you think about that new school of thought, that icing is not what you should do? Now, if you throw ice on it and it reduces swelling and it also is a pain control mechanism then do ice. It’s not necessarily a new school idea. Chinese medicine advocates for heat more than ice so it’s maybe out of that school of thought that she’s saying, “Don’t ice because the inflammatory process is good.” That’s true. We want blood flow to the injury – true, but in the situation of a lower extremity, the foot/ankle, it’s so hard and difficult to manage the swelling and edema so anything we can do to help that and also pain control with the ice can be helpful. It’s really just advocated in the first 10-14 days. In my office I have one ice pack and I have 15 heat packs so I’m way more an advocate for heat in general in controlling most injuries or helping with pain and healing through heat than I am with ice, but if someone walks in here with a bursitis or a tendonitis or an acute injury that is inflammatory and swollen, I absolutely throw ice on there. Just for short bits of time, 10 minutes, 3-5 times in your day, with elevation and with compression and with rest. Neely Quinn: Okay, cool. So the RICE acronym was rest, ice, compression, I don’t remember the last one. Esther Smith: Those things and movement. The movement of a limb produces heat and it is probably the best way to reduce swelling and inflammation because there’s something in our body called the skeletal muscle pump and it’s our way of getting lymphatic return back to the heart which is our waste removal system. It’s also a way to get venous return back to the heart so when you have an injury and you move, like in the case of an ankle sprain, sometimes you’ll do ankle ABC’s. You pretend like you have a pencil in between your toes and you’re writing the ABC’s. The reason we have you do all that ankle pumping and movement is because it works your calf musculature which works the skeletal muscle pump, which helps with swelling and inflammation and healing. You could, if you were just an anti-ice person, just say, “Alright, instead of actually throwing physical heat on there I’ll do my own internal heat and I’ll move it a lot and I’ll use my skeletal muscle pump to work that fluid out of there.” You’ve got to do something, otherwise it will sit around. Joint mobilization, acupuncture, all of these good complementary techniques would all be great to apply at that point, too. Neely Quinn: So this is in the very beginning, too? Like, you sprain your ankle, you go home. How many days after are you wanting to move it around? That day? Esther Smith: Yeah, that day. If it’s not on the ground and you don’t have any weight on it – and just let pain be your guide again – gentle ankle ABC’s or little calf pumps like you’re pumping a gas pedal up and down, all of the ranges of motions of the toes and different little arch bones and then the ankle bones and the calf is going to be helpful immediately. Just do it under pain tolerance. Neely Quinn: Okay. I’m also being reminded of this exercise that I’ve done in Pilates where you take a ball, like basically a tennis ball or lacrosse ball, and you put it under your foot and you move it with your toes. Is that something you would recommend? Esther Smith: Yeah, as long as you’re not standing on it and putting too much weight that would be painful, absolutely. There’s this whole set-up in the foot where you have these muscles that are intrinsic to the foot, meaning their attachment points begin and end within the foot. Then you also have muscles that are extrinsic to the foot like your calf which begins up higher and then attaches to foot/ankle components. The little ball moving exercise, if you’re moving it with your toes, or you wad up a towel with your toes and you spread it back out with your toes or you do little toe exercises to manipulate those little muscles, you’re working those intrinsic muscles of the foot. It would be similar to be working the muscles that are intrinsic to your hand when you’re having maybe a hand injury. Like pen rolling like I’ve shown or tendon gliding of the hand, our foot has a lot of similar type of anatomy so those exercises are awesome and it’s one of the things I would like to advocate for climbers to do in general outside of acute or any injury because our foot needs to be alive and it needs to be moved. The more we have our brain connect to those intrinsic muscles of the foot that we don’t use very much, the better we are with our proprioception and our connection to the wall via our foot. I think that’s a great point to bring up. It’s great for moving in potentially an acute injury that way, but for sure as a general maintenance exercise because we just stuff our foot in a shoe and we stuff them in tiny shoes as climbers and our foot just is fairly dormant. It’s like if we put our hands in tiny rock climbing, rubber-bound little things and we never moved them. That’s what we’re doing to our foot and it’s kind of sad, right? When you think of your hand it would be super sad so we want to pay attention to our foot almost as much as we pay attention to our fingers. I think we could get a lot out of it because our brain starts to reference that and map our foot and we connect with that better. If we connect with our foot then we connect with the wall better. That’s a big point that I kind of wanted to share in this talk. Neely Quinn: Yeah, maybe we could just do a little aside here about climbing shoes and how tight they need to be. I don’t think that my shoes, personally, need to be super tight and I know some people who have actually really messed themselves up by wearing their shoes too tight. What are your opinions on that and how do you think it affects ankle and foot injuries? Esther Smith: I think overall, if we’re wearing shoes that are too tight and too small and we spend a lot of time in them, we need to be doing the counter exercises outside of the shoe to give some TLC to our foot which we rarely do. We just don’t see people doing that. What can happen locally at the foot is we can get foot pain related to neuromas and joint stiffness and the hammer toe and the hallux valgus things that occur in the foot if we stuff them into footwear and we never take them out and spend time spreading our toes and working our toes, working the arch muscles, and kind of caring for our feet in that way, much like a dancer would. A ballet dancer, right? They’re going to do a lot of local foot work and that’s where Pilates is so beautifully aligned with dance and it’s becoming more aligned, probably, with climbing. It’s because there’s so much footwork engrained in Pilates and dancers love that because they know that they need to, otherwise their feet will hurt. If not now, then later. What I see is especially kids. Because there’s such a rise in kids climbing their foot is still growing and developing and we’re stuffing them into these tiny shoes then they wear them around the gym and they don’t take them off between climbs or when they’re bouldering. I think it’s important to get out of the shoe, massage the foot, rub it on a ball, do little foot exercises that we can talk about, and make sure we’re taking some time for that. In terms of the footwear choice, I think that performance is important and I choose my footwear to ride that line between ‘it feels really good’ in terms of how technical and how much contact and feel I have but not going crazy with binding the foot into the smallest shoe. In terms of sizing the footwear I would say to just try to ride the line between performance and how tight the footwear is. Just find the footwear that appropriately shapes to your foot. I think all different brands fit wider or more narrow feet, low- or high-arched foot, so just try to fill the empty space with a good fitting shoe and try not to get into too much shortening of the length of the shoe so that your toes are way crammed up. Have a little bit of a spread of the foot but still feel like it can be performance-directed towards that first and second toe line. Neely Quinn: Yeah, I don’t know. It just seems excessive and it doesn’t even do anything for us to have them super crammed and in pain. I found that if I buy a shoe and I can fit it on my foot almost completely comfortably to begin with, that is a fine shoe for me. Esther Smith: I think that is a good measure and I don’t think you should have pain in the shoe when you’re wearing it. It shouldn’t be so tight that you’re taking it off when you’re lowering down. You should be able to survive in the shoe to get on the ground, want to take it off because you want to give your foot a rest, but not be so bound in there that there’s any pain produced while wearing the shoe, for sure. We have to be careful. I think we think we can get away with it but in the long run it can really get us. If our foot is affected via our footwear choice in climbing, the last thing you want to do is have foot pain standing or walking doing other things so it’s not worth it but given that we all still put our feet in shoes that are too small for us, because that’s the deal with climbing shoes, really, I think we just really need to be attentive to doing some TLC outside of the shoe. Neely Quinn: Okay, so going back to ankle injuries and we can talk maybe about some of the exercises you do or have people do when they have a sprained ankle. Esther Smith: Yeah. We talked a little bit about the acute phase. The rest, ice, compression, and elevation and then gentle movement, non-weight bearing like ankle ABC’s, ankle pumps, maybe like you said manipulating the foot or toes over a soft towel or over a ball. Just getting everything to work and move and pump blood. Then, once you can start to tolerate more resistance you might start doing all those same things into some resistance. Like, if you’re lying on your back you might have a Theraband wrapped around the ball of the foot and do your ankle pumps into resistance or do your ABC’s into resistance. Once you can graduate from resistance non-weight bearing to weight bearing resistance with no pain then you can start to do heel raises, going up on the tippy toes, coming down on your heels, lifting your toes, kind of those rocking back and forth from toes to heel. It’s important whenever you have a foot/ankle injury to regain what we call proprioception, or our balance, in that region. You can do a little test and you’ll find that after any sort of injury there it’s likely to be impaired. If you were to stand on your non-injured foot and close your eyes you might have a more normal tolerance to that and then you stand on the impaired foot and you close your eyes and it would be maybe all over the place and really wobbly and shaky. It’s because our brain, even in a short amount of time, really starts to get confused and really doesn’t know how to interact with this foot, this injured foot, on different terrain. It’s like you take your eyes away. People who have chronic ankle sprains, the reason why they usually chronically sprain is because they’ve never actually gone and focused on training their balance and their proprioception after one sprain so it keeps occuring. Because you fall from the wall you’re more likely to roll it because your body doesn’t know how to react. That reactive capability to stay out of the hole in the ground or to not roll when you impact one foot or whatever is because the brain is prepared to make adjustments. Small adjustments. One of my favorite exercises is to have people do single-leg balance on a pillow or one of those rubber Dynadisks or you can take a half foam roller and turn it on its round wobbly side and stand on that and do single-leg stances or single-leg squats or practice standing with eyes closed, just on an uneven surface. What you have to rely on there if you close your eyes and you have an uneven surface is your inner ear. Your inner ear tells us where we are in space without vision or without an even surface. That’s really where we are climbing. We’re not necessarily always looking at what we’re standing on but there’s a lot of different terrain that we’re standing on so we’re very dependant on our inner ear to help us perceive where our foot is and where the rest of our body is in space. I teach this climber’s class on Wednesday mornings and I’ll often do balance work and proprioceptive work. It’s kind of shocking to people because they’re like, ‘Woah. I thought I had better balance.’ Often, we’re surprised that we don’t because we don’t necessarily train it. If we do I really feel like it could help influence climbing performance positively. Neely Quinn: Yeah. So there are a lot of things that people can be doing. At what point after an injury would you say for people to start doing that kind of thing? It just depends on how quickly they can progress through those exercises? Esther Smith: Yeah, and no pain doing strengthening exercises or balance exercises, then full range of motion and hopefully very minimal swelling and just making sure that any exercise you do doesn’t make you worse. Just kind of grade it that way. Neely Quinn: Okay. How many times a day should people be doing these things? 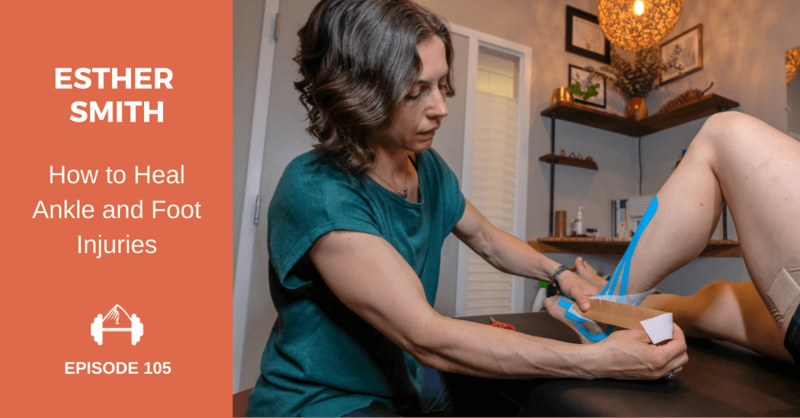 Esther Smith: When you’re training or kind of retraining the foot/ankle injury and either you’re really stiff from a sprain or you feel really weak and unstable, or you’re trying to reduce inflammation, all of these things can be done kind of scattered in your day. They’re not heavily loaded exercises so you can do them daily and you can do some balance work in the morning and you can do some Theraband stuff – you can mix them in at least once a day. Really, you want to be doing something to mobilize and sort of massage any soft, tender, tight areas and then you want to gain any flexibilities so maybe stretching the calf, stretching the top of your foot, and then you want to regain your strength. That’s all the planes and the space that your foot/ankle works. The heel raise, the turning of the arch in, turning of the arch out, lifting of the toes and the ankle upwards – if you strengthen all of those things and then you practice your balance – eyes closed, different terrain, different scenarios – that will be the complete package. Neely Quinn: How many reps are they wanting to do on these things? Esther Smith: Again, it’s a light resisted exercise so you’re going more for that endurance-type repetition volume versus more of a strength building, which would be fewer reps, so you can – you’re more in the high reps, low load. It could be 20 or 30 reps of an ankle pump whereas if you were doing a max calf lift under weight you would only maybe do less than 10. 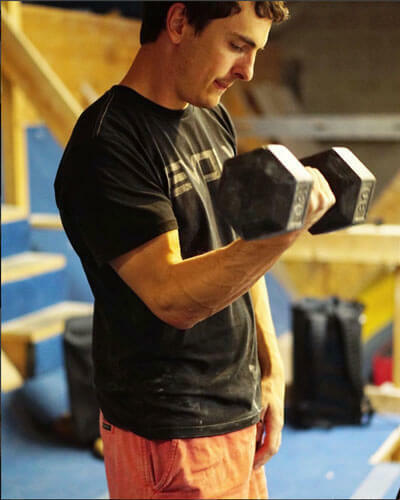 I think it’s just a matter of how much weight you’re dealing with and going more towards stopping the reps when you feel fatigued or breakdown in form, resting, and then doing three sets at that repetition. Neely Quinn: Okay. Alright, anything else for sprained ankles? Esther Smith: No, I think that covers it. The acute phase and then moving forward with the strength, mobility, and flexibility and balance stuff. Then, just continue to challenge the system in terms of that proprioception, balance awareness, so that you don’t re-sprain and you regain that brain mapping and that brain organization around that injured joint. Then kind of carry it forward to bigger demands like jumping and later doing lateral movements, cutting, jumps, and getting some impact. 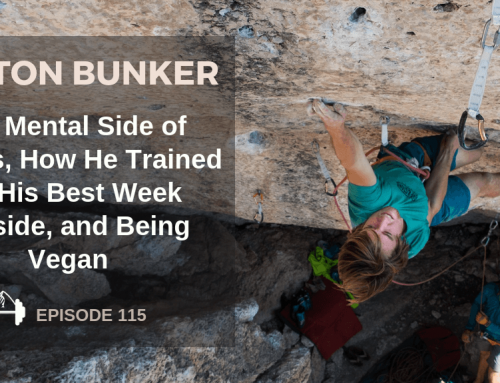 Preparing yourself if you’re a boulderer for a fall and retraining jumping, landing, all of those are really good, too. I think we could do a little more of that as climbers in general because it’s an explosive sport and we don’t often see people jumping like box jumps, right? And side jumps, speed skater-style stuff. That’s really good later on to challenge the system and even just for performance as climbers I think we could be doing more of that. Neely Quinn: Out of curiosity, you know how we do overhead presses for shoulder stability later on just to rehab or prehab or to strengthen? Is there anything like that with weights that people could do for feet and ankles? Esther Smith: Yeah. It would look like – you get a lot when you do weighted squats, whether it’s all the different squat variations under a load that we have, whether it’s a kettlebell or the barbell squats. Squats are a good way to train the flexion of the foot/ankle and then the powerful rise up from a squat position. That’s what we do so often in climbing. Doing some calf work in isolation under a little bit of weight, just literally weighting yourself a little bit more and doing heel raises there could be good. Continuing with some of the Theraband work through resistance for the calf, foot, ankle could be good in general. Pistol squats, like single-leg stuff, where you’re having to navigate on one foot and lower in and out of a squat position. It’s mostly probably training the front-back plane of motion, the ankle kind of going into dorsiflexion and into powerful plantar flexion. That’s the most appropriate for climbing training and, like I said, that can be accomplished with a lot of general strength training that we may or may not be doing. If we think about it in terms of climbing we could see why it would be really productive. Then, the other thing would be the jumps to getting a little more plyometric and a little bit more explosive training in our repotoir. Neely Quinn: In terms of timeline, because as soon as you – and I’ve been there, too. I sprained my ankle a few years ago and I was on a climbing trip, so disappointed. I was like, ‘When am I going to be able to climb again?’ What kinds of cues can people go by to determine when they should start climbing again? Especially bouldering? Esther Smith: That’s a good question. One thing is I think people are pretty satisfied if they can do a single-leg heel lower and lift off of a stair. That’s kind of a good indication. You would obviously graduate to that through that sequence that I talked about. First you’re doing ankle pumps in the air, then you’re doing them into a band, then you’re doing them on two feet on the ground, one foot on the ground, and then two feet off of a stair, and then one foot off of a stair. That’s a really good sign. If you can do a single-leg heel lift and lower on a stair without pain, without any problem, and with good balance and maybe you can make sure that you have equal balance with eyes closed, single-leg stance. Those would be two indicators for readiness to return to sport. Bouldering, I would say you want to be able to get some jumping and landing in and have it be pain free before exposing yourself to the risk of an accidental fall and land. 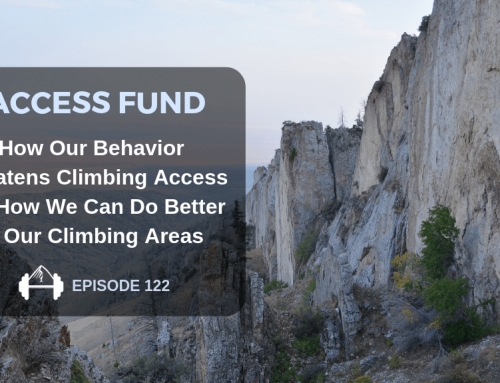 Just taking our little contrived environment of the gym or wherever we’re doing our working out and testing ourselves and saying, “What stresses or demands might be on me out there climbing? How can I simulate that and test it in a controlled way? Make sure I don’t have any pain, nothing makes me worse after, and I have full range of motion, good balance, and strength and equal to the other side.” Then, you’re probably ready to go. Neely Quinn: Okay. That’s pretty clear. That’s great. Esther Smith: Yeah, those are the top injuries that we did. The sprains, kind of the tendonitis around the ankle, kind of the inner/outer, calf strains – I think the big thing – and then taking care if you have actual foot pain like plantar fasciatis. Those things are all a bit of maintaining full mobility, range of motion, strength and balance across that area. I think connecting the foot/ankle upstream through the strength of the knee and the hip, and then up into the core, and how our foot really is our other feedback system up into our trunk and is our other two points of connection besides our hands, I think one thing we could be considering is linking the foot/ankle strength all the way up the chain and really feeling that in ways. When we’re doing our training, making sure that we’re connecting those dots. I often see, for instance if I’m teaching someone to hang and do hangboard training or do pull-ups, people just let everything below their waist just flop out. It’s like they don’t really reference the point of even when you’re just hanging to prepare for something you’re doing with your upper extremity to also prepare your lower half and engage your lower half into the exercise and make it part of you so that then, when you’re on the wall, it’s more likely to be part of you there, too. I think just always referencing that our feet are just as important as our hands. When we do so much with our upper extremities as climbers with training and everything you always want to be tying in and providing that feedback loop all the way through the system, from head to toe. Neely Quinn: Okay. How do we know if we’re doing that? How do we know when to do that/how to do that? Esther Smith: Well, that’s a good question. You want to do it kind of all the time. There’s exercises where it can become more clear like bridge exercises where you’re lying on your back, your feet are on the ground and your knees are bent, and you’re going to prepare to lift your hips and then maybe you are on your shoulders and you’re on your feet. Feeling that connection from the foot back to the lower extremity, particularly in the glute/hamstring area, and how that relates to how we can kind of pressure our hips up therefore into the wall. Then take one foot away and march. 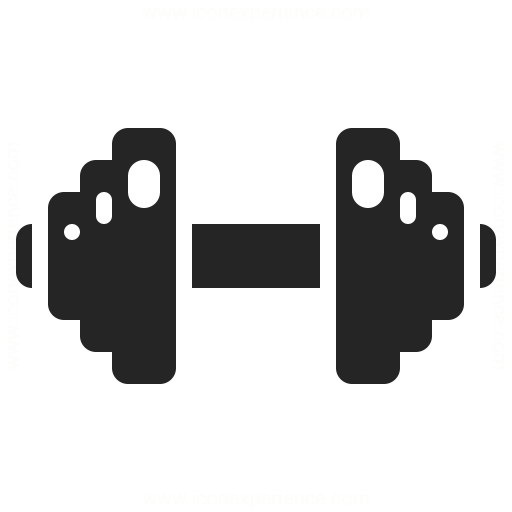 There’s a lot of exercises where you can train the brain to really maintain a kind of profound connection down the chain, particularly the backside chain, the posterior chain, all the way to the foot. When you’re doing bird dog you’re doing a classic core exercise. How lively are you in your leg and can you activate your foot as you reach with one hand/arm out by your ear and the other opposite leg goes behind you? You know that classic core exercise? We kind of flap out in our lower half but it’s like: no, stand into that. I think just play with toning, activating, enlivening, and imagining that your feet are important and that they have something to do with pretty much every exercise. It will really send a different level of organization and strength and activity through your whole body. Neely Quinn: Yeah, I think what you’re saying is we should all do Pilates. Esther Smith: [laughs] Once again on the Pilates soapbox. I didn’t say it, Neely. Neely Quinn: You didn’t say it but it’s like this is what I think of when I think of Pilates. It’s like your whole body working together and you concentrating on things that you normally don’t concentrate on connecting. Esther Smith: Yes, and that’s what it has done for me and I think that’s why I’ve had such a good foot rehab is because I’ve done Pilates even when I was in a boot. I was in my boot and I still went to my mat class every Tuesday morning with my boot on and I did Pilates and I pretended that my foot was there doing something. My rehab, I felt like, was so expedited because I involved it in everything even though it wasn’t really involved. I activated it, I brought my brain’s attention to it, I got blood flow through there, and then as I progressed and had such a weak foot returning to climbing and was super sad because it hurt and it was weak, it was all the work through Pilates whether I was non-weight-bearing or weight-bearing. If I paid attention to every part of my body and really tried to connect and have some energy running through there it dramatically helped. Not only my rehab but then my return to sport and then my performance. Now I’m a little bit on the soapbox of: as climbers, we should be paying attention to our lower extremity. I watch it when people are on the wall, I watch it when people are hanging, when they’re doing their off the wall training, and I think as soon as people tap into that they feel it and so just play around with it. See what it’s like when you’re doing things typically that you wouldn’t really involve your lower half and just activate, organize, try to kind of get into a strong core position and you’ll feel how it’s relevant. Neely Quinn: Okay. I know you have to go so we’ll wrap up here. You have a video on foot and ankle stuff. Does it include any of these Pilates tips that you’re talking about here? Esther Smith: It does. It’s on www.selftreatment.com and it’s ‘The Healthy Foot and Ankle’ video. Since I joined with Eva Kauffman, who is a Pilates instructor, it’s a merriment of the physical therapy and rehab stuff for general foot/ankle pain and health and organization in that area mixed from the PT perspective with the Pilates perspective. You get all the band exercises, you get a lot of really cool Pilates footwork exercises, and so all these concepts are brough to life in that video. Neely Quinn: That’s awesome. I’m so glad you do these things. Seriously, I get so many people telling me that they’re using your videos and using the podcasts and all the free stuff that you have out there so thank you, again, for all of your awesome work. I really appreciate it. And thank you very much for being on again today. Esther Smith: You’re welcome, Neely. Thanks for having me and promoting all of this good stuff and bringing all the guests that you have on. 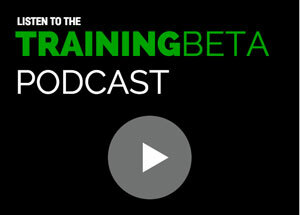 It’s a really great resource for our community so I appreciate being a guest on TrainingBeta. Neely Quinn: Well thanks. We’ll talk soon on another topic. Esther Smith: Okay. See you later. Neely Quinn: Alright, I hope you enjoyed that interview with Esther Smith. I honestly can’t tell you how many times I’ve had people come up to me at crags or in the gym and they’re like, ‘I injured my x body part and I listened to your Esther Smith interview and looked at her videos and now I’m doing her whole protocol and it’s feeling much better.’ To me, that’s just almost miraculous that she can make this information so digetible for people that you don’t even have to go see her to get benefits from it. Thank you Esther, again, for so generously sharing all of your wisdom with us. Hopefully if you have a foot or ankle injury this one will help you. Again, you can find her stuff at www.selftreatment.com and if you want to work with her, if you’re in the Salt Lake area – I’ve actually even gone there to work with her from Boulder. You can find her if you just Google Esther Smith physical therapy and Salt Lake City. 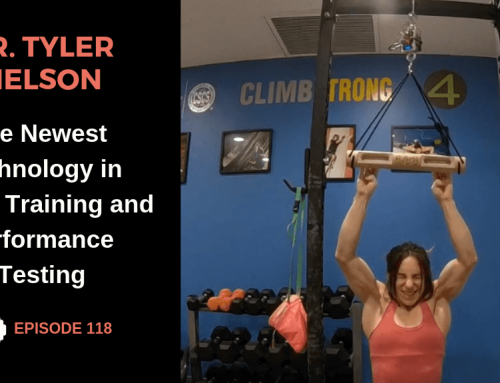 I’m not sure what we’re going to talk about next time but if you guys have suggestions for another interview with Esther about something that we haven’t already talked about just email me at Neely@trainingbeta.com or info@trainingbeta.com. Coming up on the podcast I know I say sometimes that I have interviews with people and then they never happen and that’s partly because people sometimes flake out or schedules get a little bit wonky and we can’t make anything work, but hopefully in two weeks I will be talking with Nathaniel Coleman. I’m super excited about this one. I think he’s a really cool guy and obviously extremely strong and talented. I’m really excited to talk to him and hopefully that will be out in two weeks but I won’t have another one coming out next week. I’ll be in Chicago with my family. Anyway, if you need any training advice or training structure or instructions on what to do when you go into the gym, we have training programs on www.trainingbeta.com. 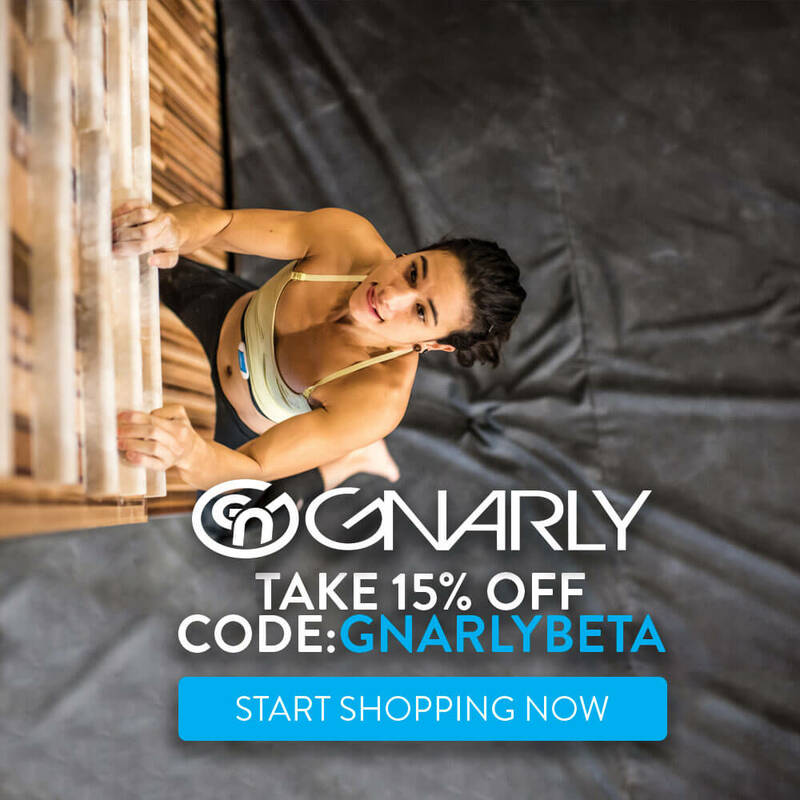 At the top there’s a tab for ‘Training Programs’ and in there you’ll find things for boulderers, for route climbers, for people who just want to train finger strength, and you can follow them step-by-step. We also have a couple programs by Steve Bechtel in there and Jared Vagy and a nutrition program by Acacia Young, so there’s something for everybody in there. I hope that it helps you get stronger. Thanks for listening all the way to the end. I’ll talk to you in a couple weeks, hopefully with Nathaniel Coleman.